If you get “The Operations Manager web console was not configured successfully on this computer. Some views in the web console will not function correctly. 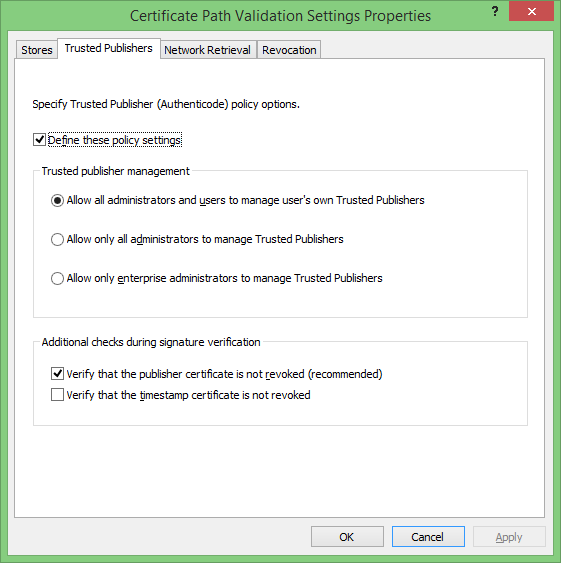 Unable to import code signing certificate. System Error -2147024891 (0x80070005): Access is Denied” Check your group policy settings. 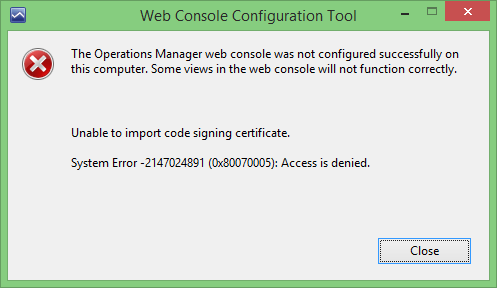 This entry was posted in Microsoft, SCCM 2012, SCOM 2012 and tagged Access Denied, Operations Manager Web Console, Ops Manager, SCCM 2012, SCOM 2012, Web Console on February 6, 2014 by eddwatton.